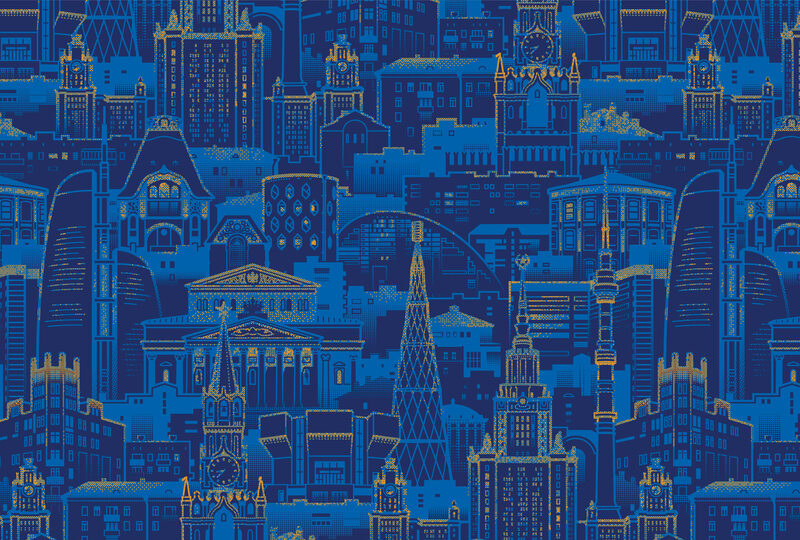 to draw a pattern for Moscow public transport upholstery. 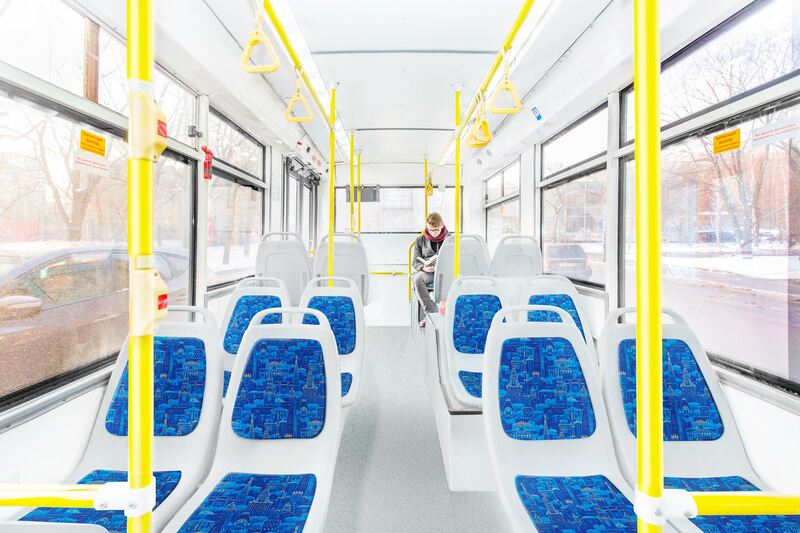 By the request of the Moscow Department for Transport, a pattern for upholstery to be used in all Moscow buses, trolleybuses and trams was created at the studio. The most famous, outstanding, unique and also the most typical and prevalent buildings of Moscow were chosen as a basis for the motif. The rapport is carefully designed to ensure the pattern is different on two adjacent seats.